Office Furniture Deals offers designer fabric sofas for sale online at up to 60% off retail. 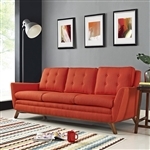 Here shoppers will find best selling fabric sofas from Global Total Office, Mayline, Flash Furniture, Lesro Industries, and other top rated brands. All of our fabric sofa seating is available with free shipping and bulk discount pricing for added value. Shop today and save big! Need help selecting fabric sofas to match your corporate waiting area? Contact our team of furniture specialists direct at 800-456-6746 today! Your Price: $917.00 + FREE Shipping! Your Price: $867.00 + FREE Shipping! Your Price: $815.25 + FREE Shipping! Your Price: $719.75 + FREE Shipping! Your Price: $907.00 + FREE Shipping! Your Price: $868.50 + FREE Shipping! Your Price: $1,030.25 + FREE Shipping! Your Price: $927.25 + FREE Shipping! Your Price: $913.00 + FREE Shipping! Your Price: $604.25 + FREE Shipping! Your Price: $781.25 + FREE Shipping! Your Price: $710.75 + FREE Shipping! Your Price: $840.75 + FREE Shipping! Your Price: $1,723.25 + FREE Shipping! Your Price: $923.25 + FREE Shipping! Your Price: $978.99 + Free Shipping! Your Price: $1,383.75 + FREE Shipping! Your Price: $1,774.00 + FREE Shipping! Your Price: $1,186.75 + FREE Shipping! Your Price: $887.75 + FREE Shipping! Your Price: $897.00 + FREE Shipping! Your Price: $1,388.25 + FREE Shipping! Your Price: $1,485.75 + FREE Shipping! Your Price: $1,681.75 + FREE Shipping! Your Price: $1,269.99 + Free Shipping! Your Price: $1,528.99 + Free Shipping! Your Price: $1,374.99 + Free Shipping! Your Price: $1,805.99 + Free Shipping! Your Price: $728.99 + Free Shipping! Your Price: $911.99 + Free Shipping!